Young Ryeberg wants to mention a few of the incoming links it received in its tender postnatal months. The first came from Toronto-based writer Leah Sandals at Ne Dit Pas Mon Coeur on the very day we went live — June 14, 2009. She linked to Ryeberg on the recommendation of media critic Marc Weisblott. That was quick. How’d he know? HTML Giant, “the internet literature magazine blog of the future,” run by Blake Butler, asked an insightful question about Ryeberg: “How cool is it that this exists?” The answer: “Pretty cool.” The pretty cool Giant highlighted curated videos by Mary Gaitskill, Alana Wilcox, Peter Lynch, Alexandra Shimo, and Catherine Bush. 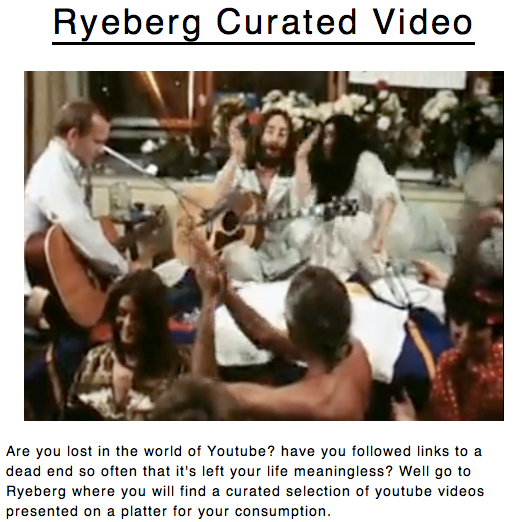 Over at the Art+Culture, film curator Taien Ng-Chan rhapsodized about Ryeberg, saying “The concept behind the website is simple, but brilliant… Each piece is wholly idiosyncratic, juxtaposing the selected video(s) with illuminating writing. 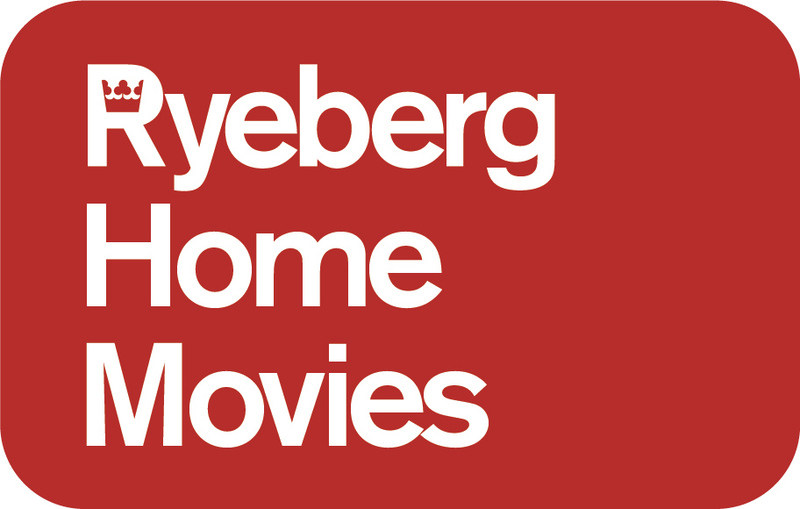 Ryeberg sets the bar high for this new form of engagement with the world of internet video.” Art+Culture is all about fostering the arts and giving voice to a new generation of cultural critics. Check it out! Ryeberg reappeared on Eye Weekly in November, 2009 on culture writer Kate Carraway’s “Required Reading,” which is always required reading. She says, “Do like me and spend 17 hours there.” Harpers Magazine spent time reading Mary Gaitskill’s “Lady Gaga In Hell” and provided a link to Ryeberg. Russell Smith mentioned Mary Gaitskill’s “Lady Gaga In Hell” in his Globe & Mail column, while discussing “the new nostalgia” for Polaroid pictures. Thanks Allen, and thanks to everyone for the many kind words.